The Bronnley Iris & Wild Cassis is the newest addition to the contemporary collection. This pretty floral perfume with a fruity twist contains notes of iris, cassis, plum, tuberose, star anise, pink pepper, patchouli, dark chocolate and roasted coffee beans. 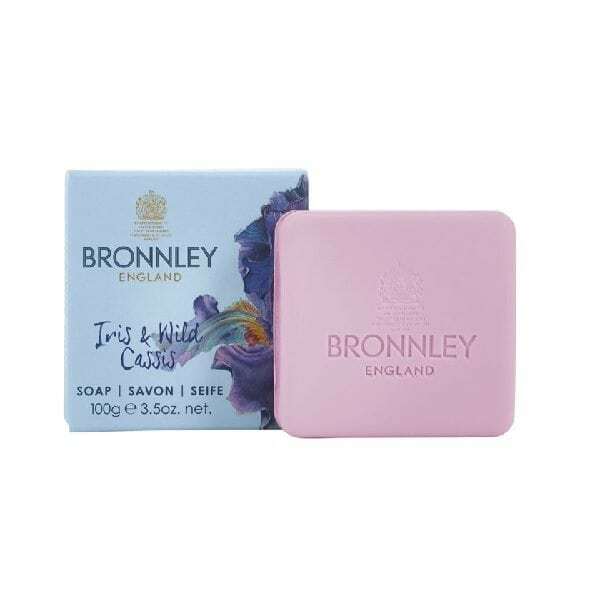 This delicately fragranced triple milled soap is enriched with shea butter that moisturises and smooths.